I rarely use straight out of the tube black paint because it often looks too lifeless. I prefer to mix my dark colors from the colors found elsewhere in the painting. 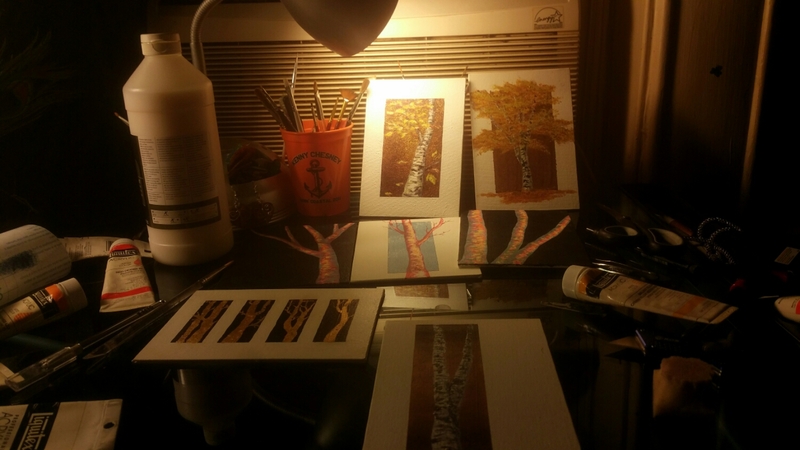 Below is a look at progress on two of the 5″x7″ paintings from the post: Not Quite as Little, Little trees. 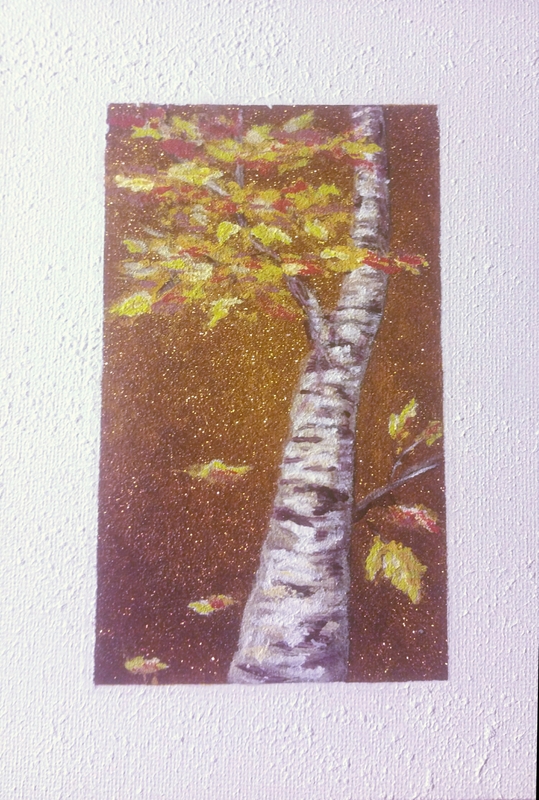 I am contemplating darkening the background of this one and possibly adding some sparkle. 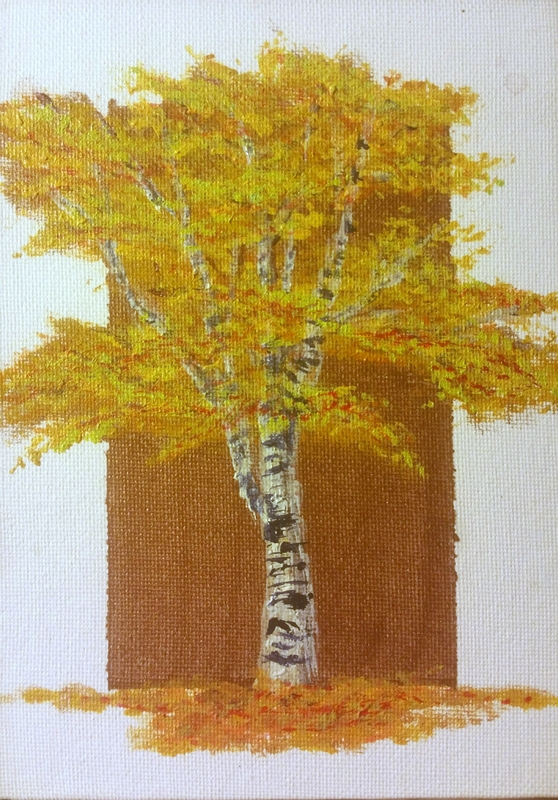 What you think about the traditional trees and the primary trees so far?